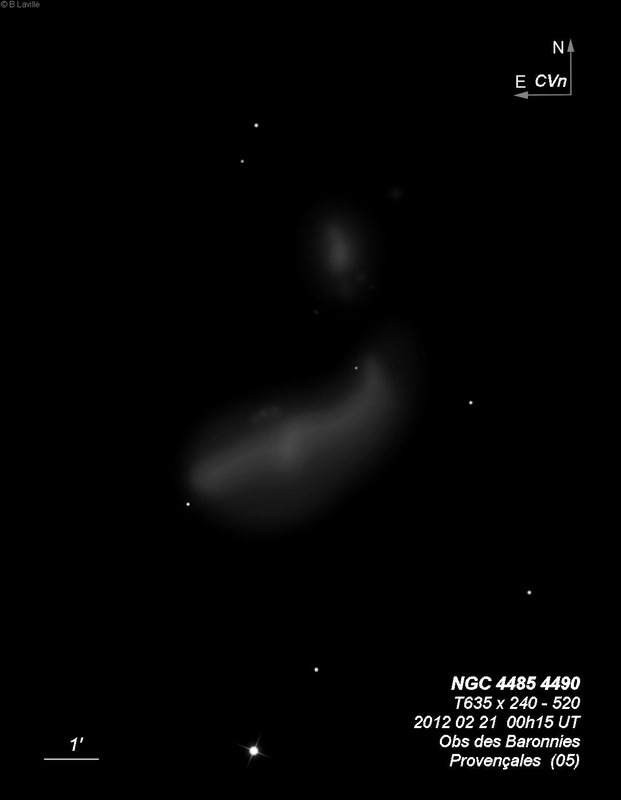 My first object was NGC 4485 which at the time I didnt realize was the Cocoon (4490) until after the sketch. 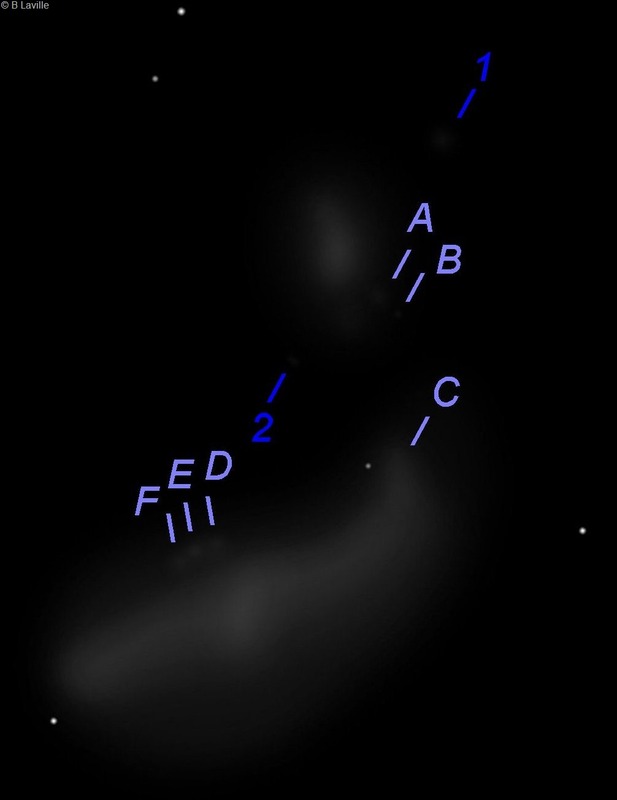 Its a pretty outstanding pair of galaxies that I have observed and sketched before and I knew it looked familiar! Tonight I could see the mottling within 4490 and the curl at the northern tip. Finding it is an easy hop from Chara in Canes Venatici. Through the finder scope it would remind me of something wonderful at the end of a magic wand made by Cor Coroli and Chara. The sky conditions though could not have been perfect, as Chara was rather distorted, correct? Or was that due to its position at the very edge of your FOV? Good point, I didnt actually look at Chara directly in the center, but only at the edge, so I cant speak to this. I also blur brighter stars for a realistic view, and I did do this here without thinking about it in truth. I appreciate the comment, it helps me to become a better observer and record information more faithfully. Edited by Warmvet, 06 December 2018 - 07:21 PM. Nice! Matches the view I had through my 16" last spring. This is such a nice pair of galaxies. a tough place to view galaxies. Frank, I am glad to hear its clearly visible from the Chicago suburbs and bet its a beauty from Arizona and without the cold. Beautiful sketch Cindy, thank you. Looking at the sketches here has inspired me to give it a try myself. That is, if the skies ever clear in my little corner of the world. Most excellent Bob, hoping for clear skies for you and to seeing your sketches soon. Thank you Cindy and I'm looking forward to seeing more of yours. I've been reading the tutorials to get some idea of where to start. Clear and steady skies. Edited by astrochild, 06 December 2018 - 10:53 PM. There is certainly a wealth of knowledge here on CN sketching forum as well as supportive people. Very good sketch of (In the Wee Hours) NGC 4490 & NGC 4485 Cocoon Galaxies . Well Chara here is cropped by the field stop edge. There's no distortion evident. I agree. There is a wealth of knowledge here, the members are the best and I thank you all. Nice observation, Cindy. I felt your excitement. The structure of NGC 4490 (the largest) appear well, so that several regions HII limit NE halo (D / E / F), and a strengthening of the tip NW ©. 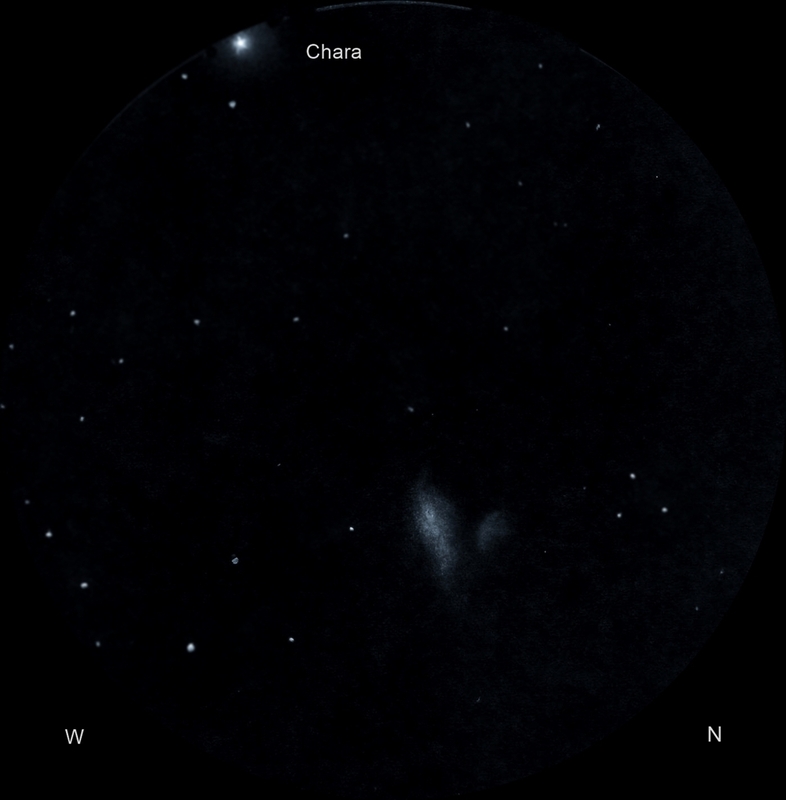 Two of the three small galaxies behind NGC 4485 plan have been seen: VI1 (seen 100% of the time) G1, G2 is difficult, VI3 (50%), G3 has not been seen. Bertrand, thank you for adding your detailed sketch and information. with the 25”, a magnificent view recorded with the 25” and far more to it than I was aware.